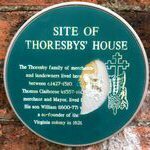 Pictures do take a while to download so please be patient when you click on a thumbnail to link to the large picture. 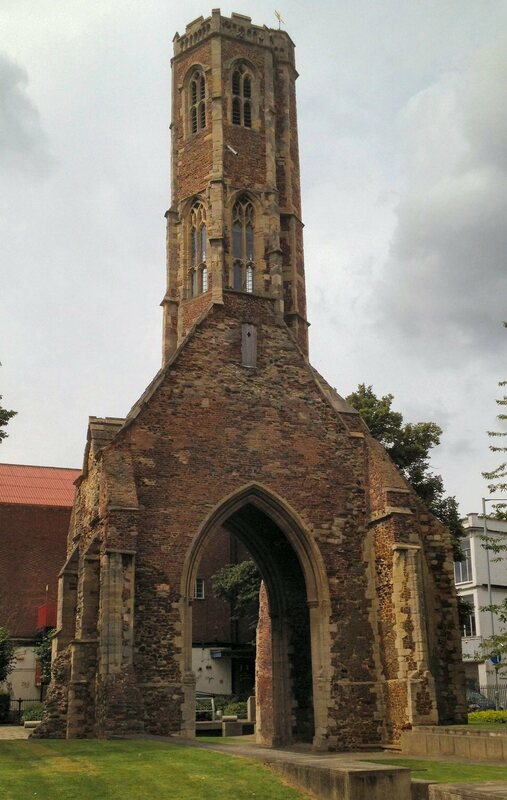 All the larger pictures are compressed from the originals for faster downloading. 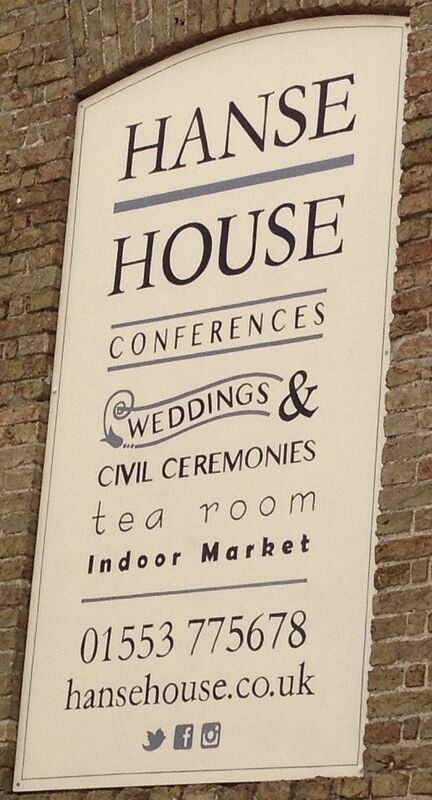 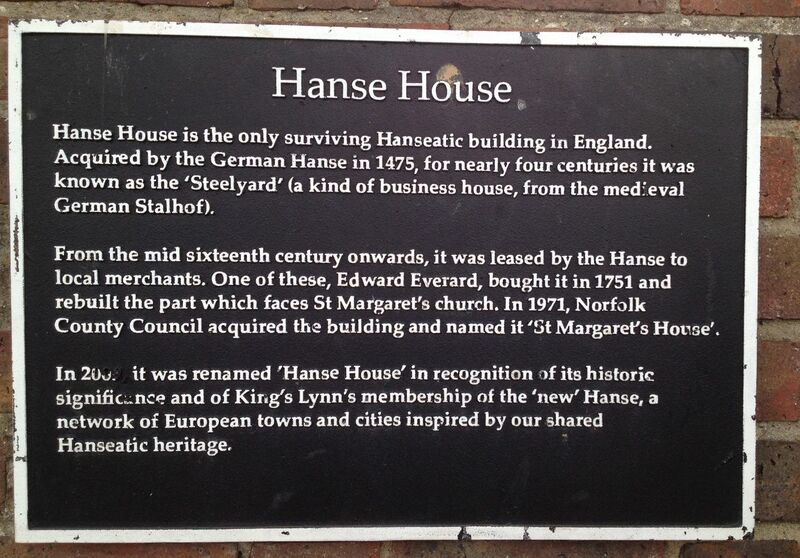 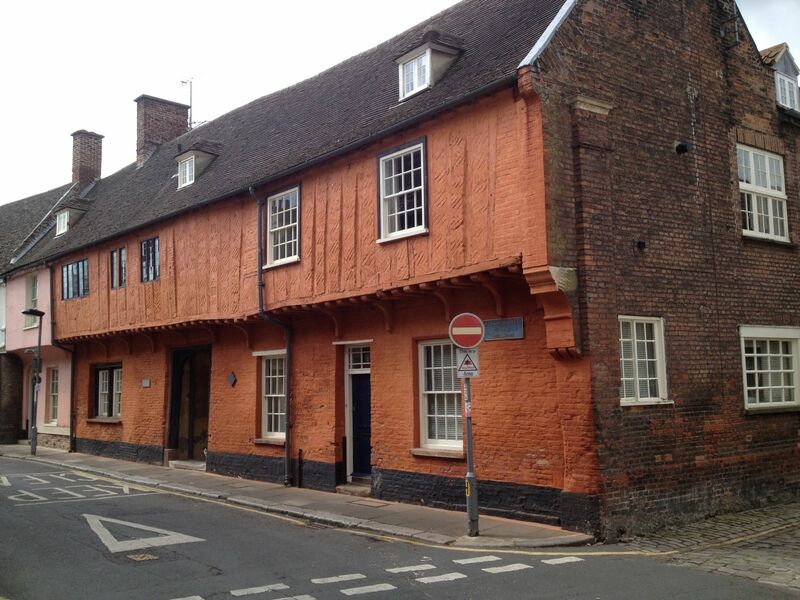 Hanse House is the only surviving Hanseatic warehouse in England. 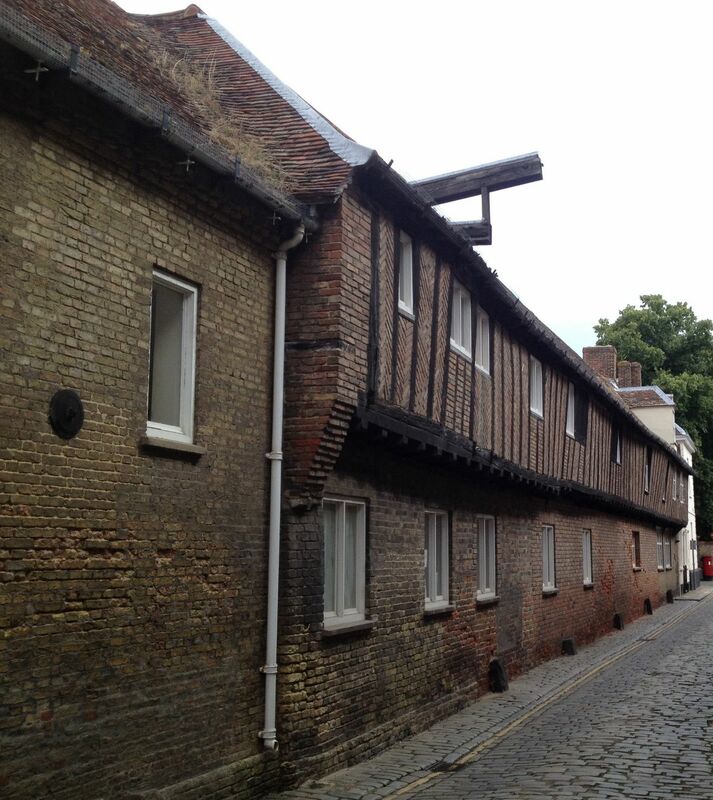 The Treaty of Utrecht was signed in 1474 and Edward IV gave the buildings and quay to the Hanse. 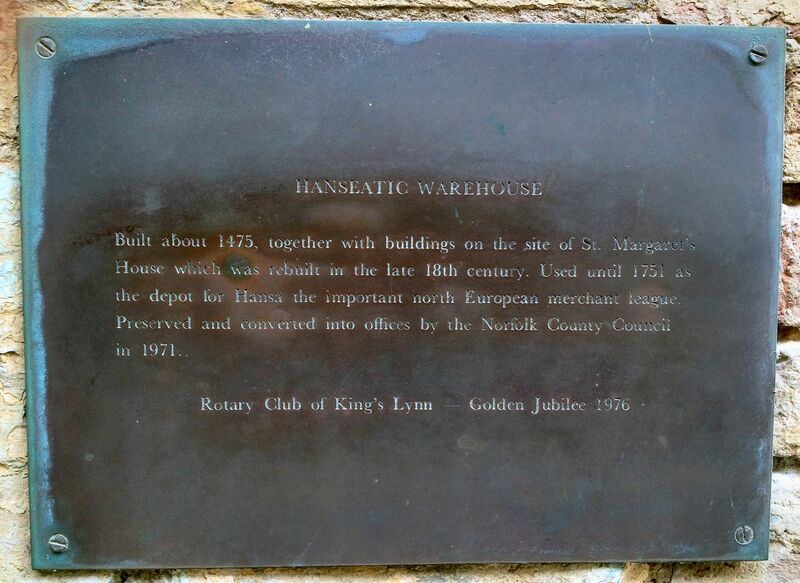 Hampton Court was built in the 14th century as a house and warehouse by a wealthy merchant. 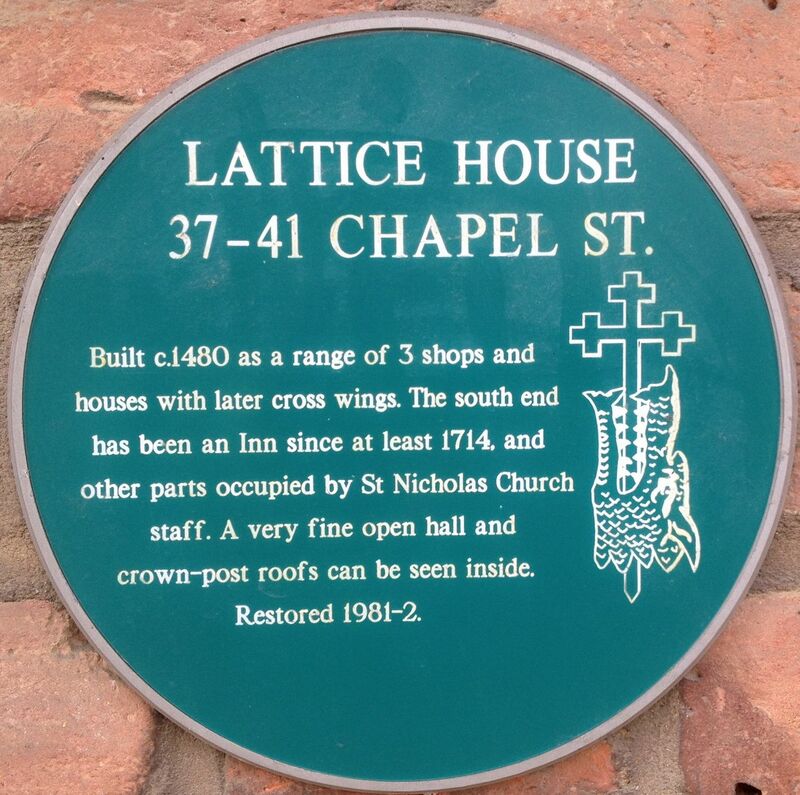 One of many informative plaques on old buildings in the town. 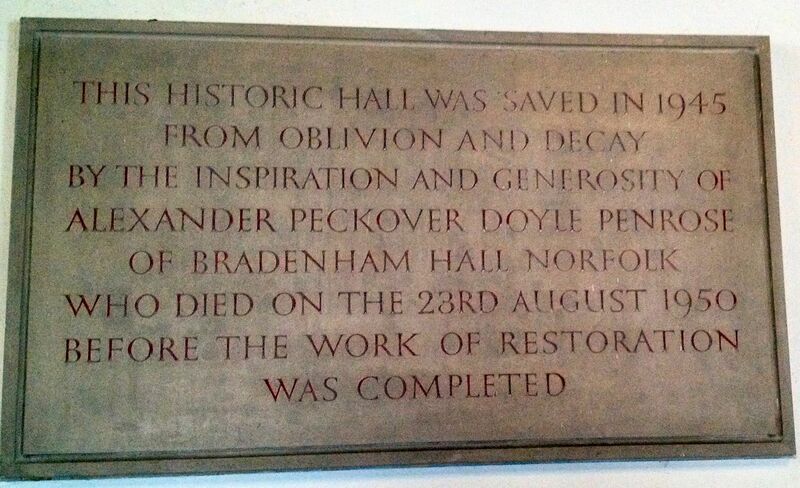 Unfortunately this one is damaged. 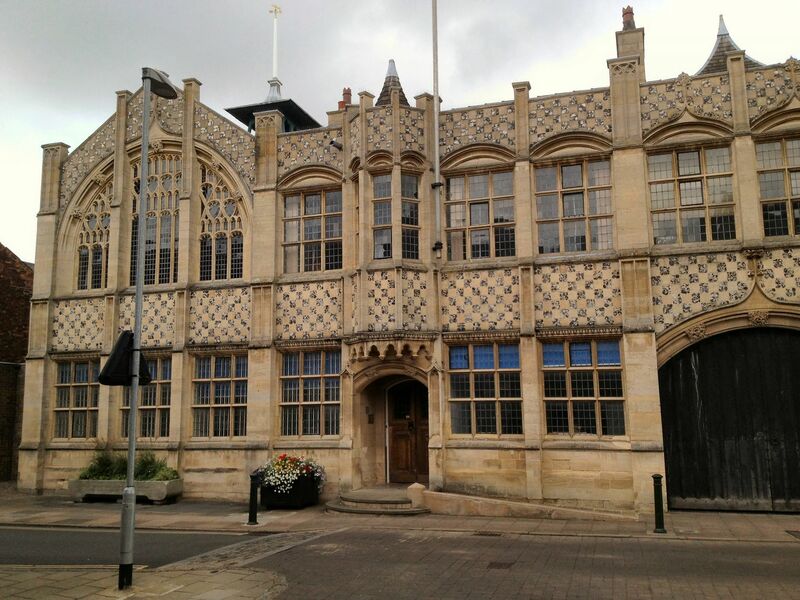 The Trinity Guildhall dates back to the 1420's and is now the Town Hall. 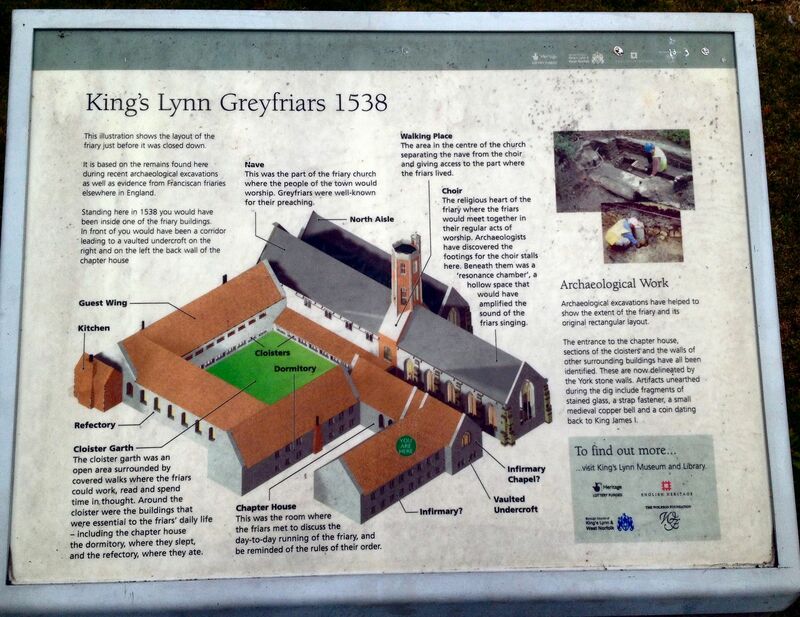 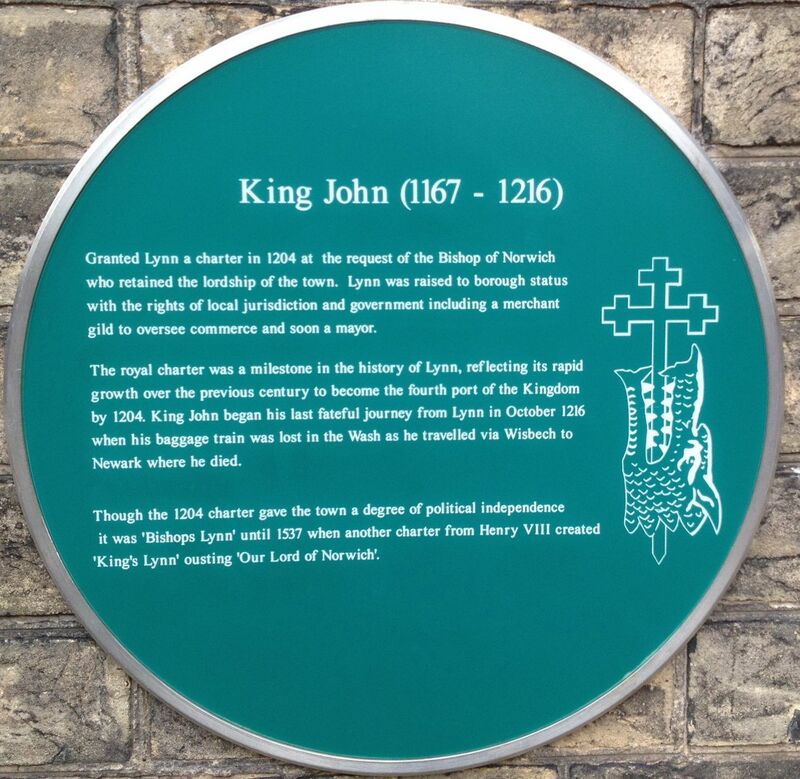 King John gave the town a charter and its name changed to King's Lynn in 1537 thanks to Henry VIII. 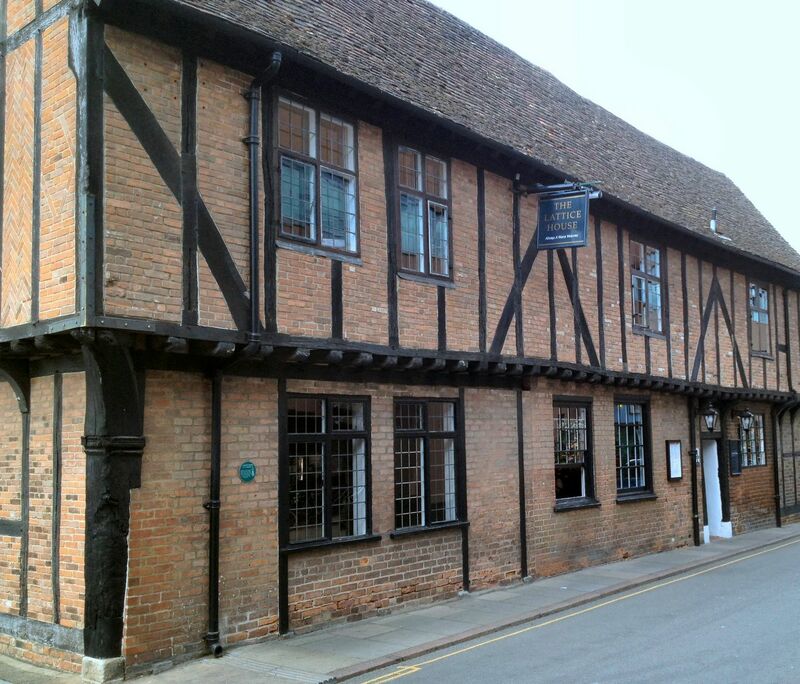 St George's Guildhall is the largest surviving 15th century guildhall in England. 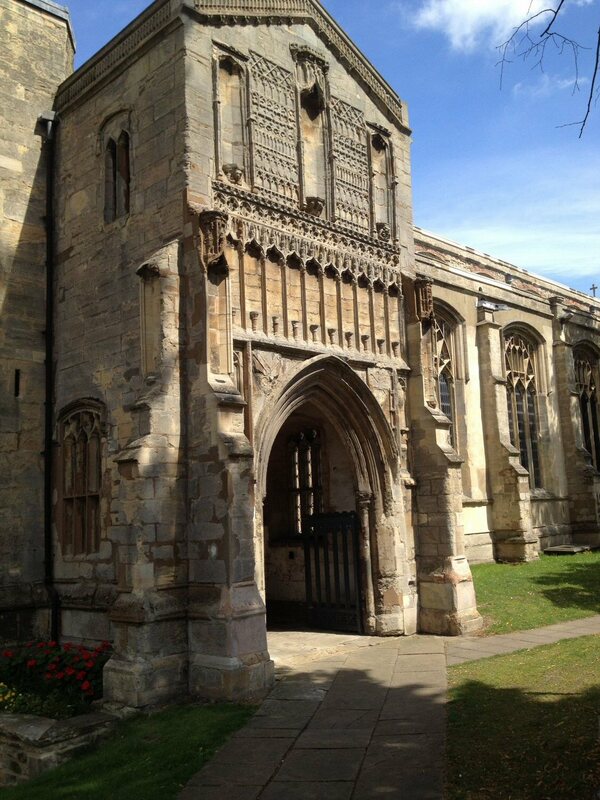 Now a theatre, but it was also used for plays in the 15th century. 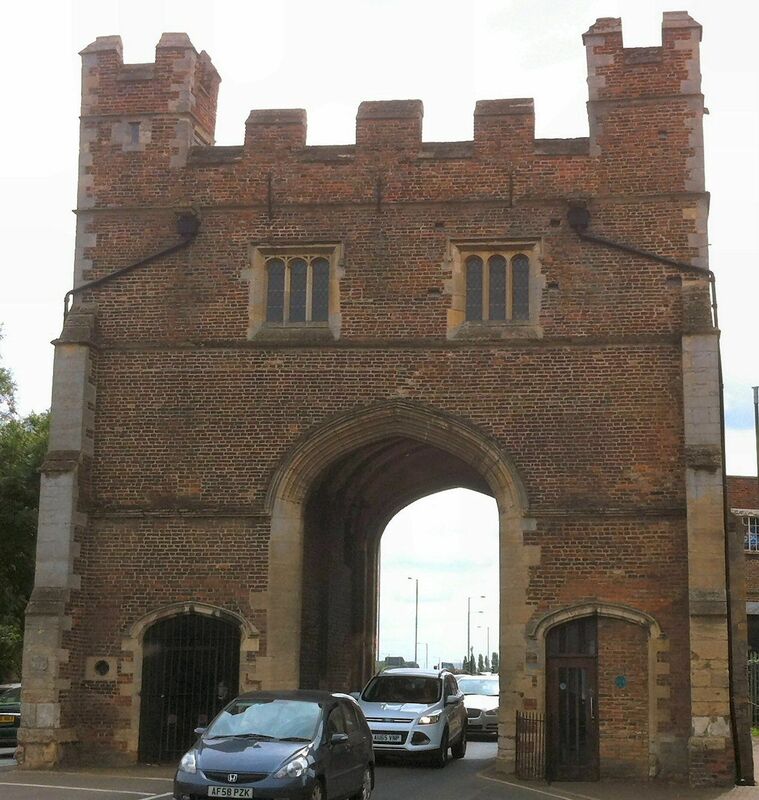 The guildhall was rescued by one of the Peckover family who owned a lot of property in Wisbech. 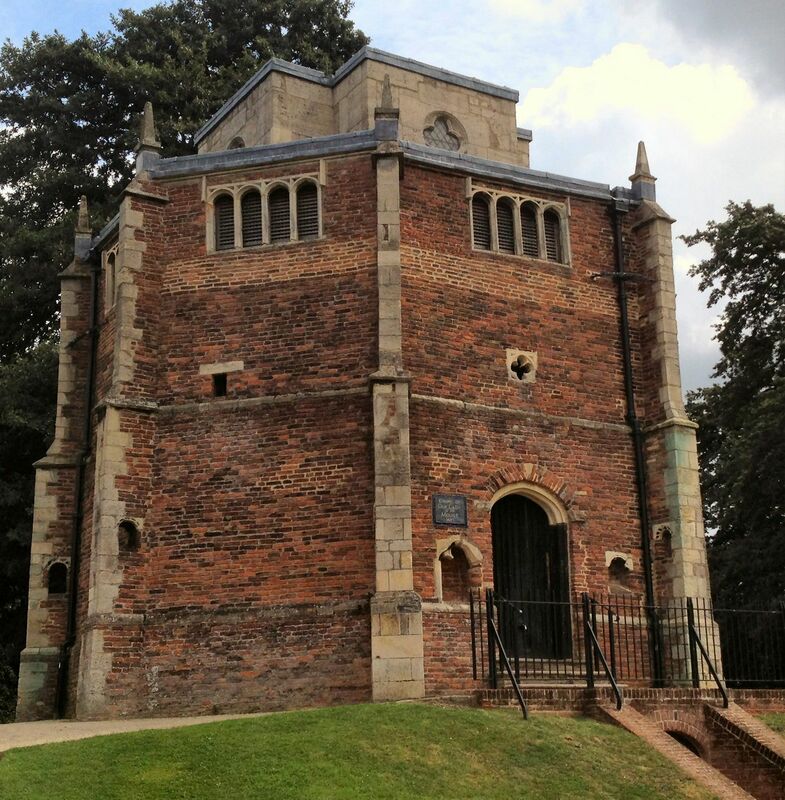 St Nicholas' Chapel, England's largest surviving parochial chapel. 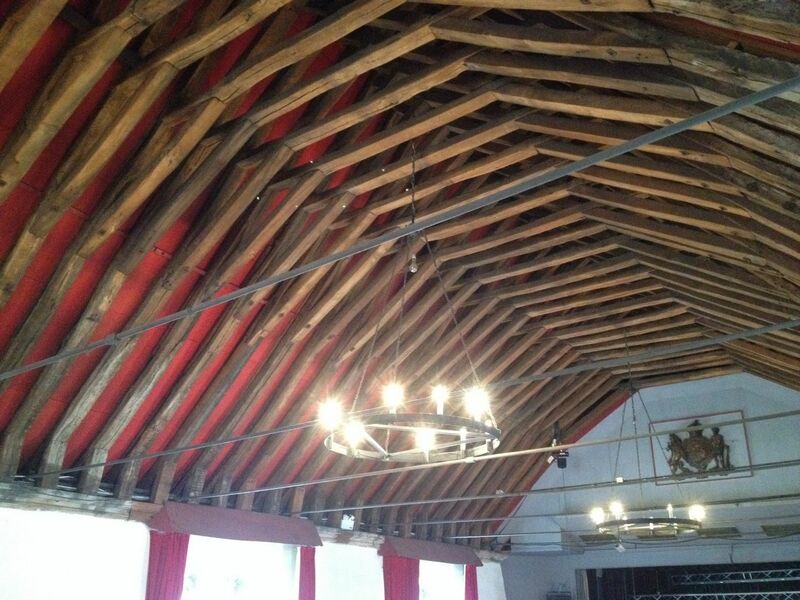 The 15th century wooden roof features beautifully carved angels. 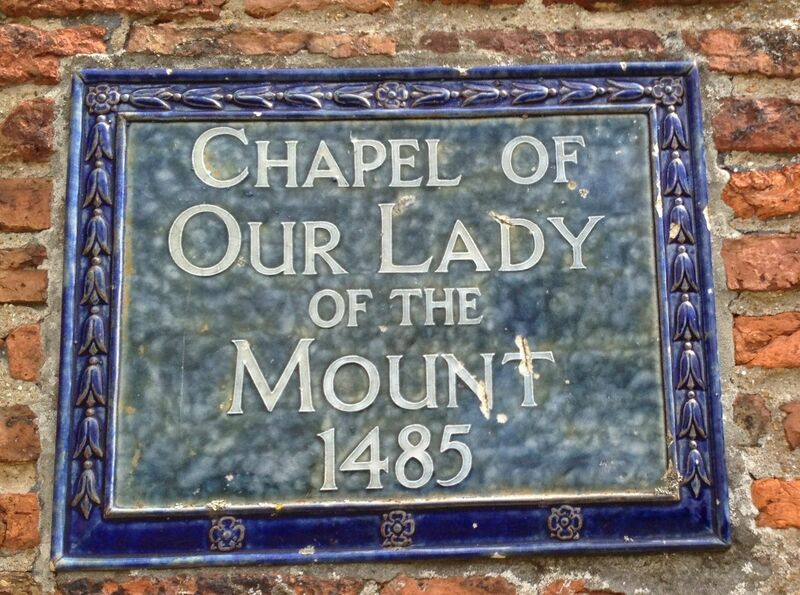 Red Mount Chapel - 15th century. 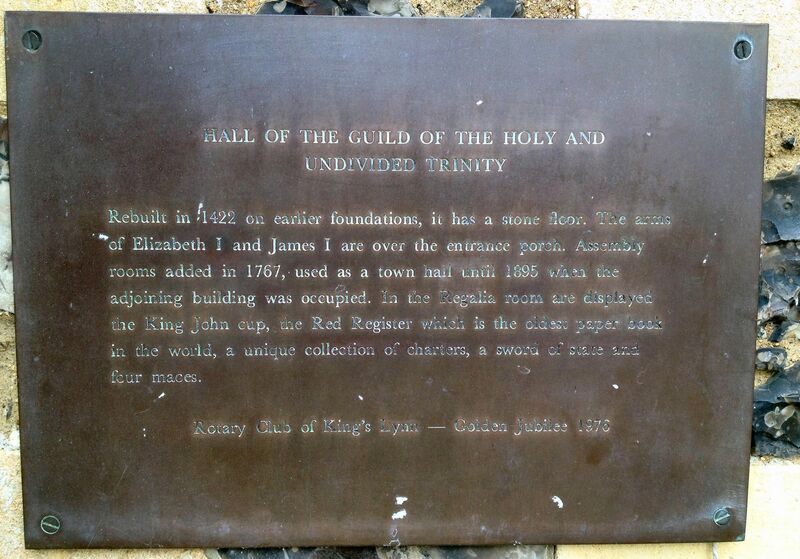 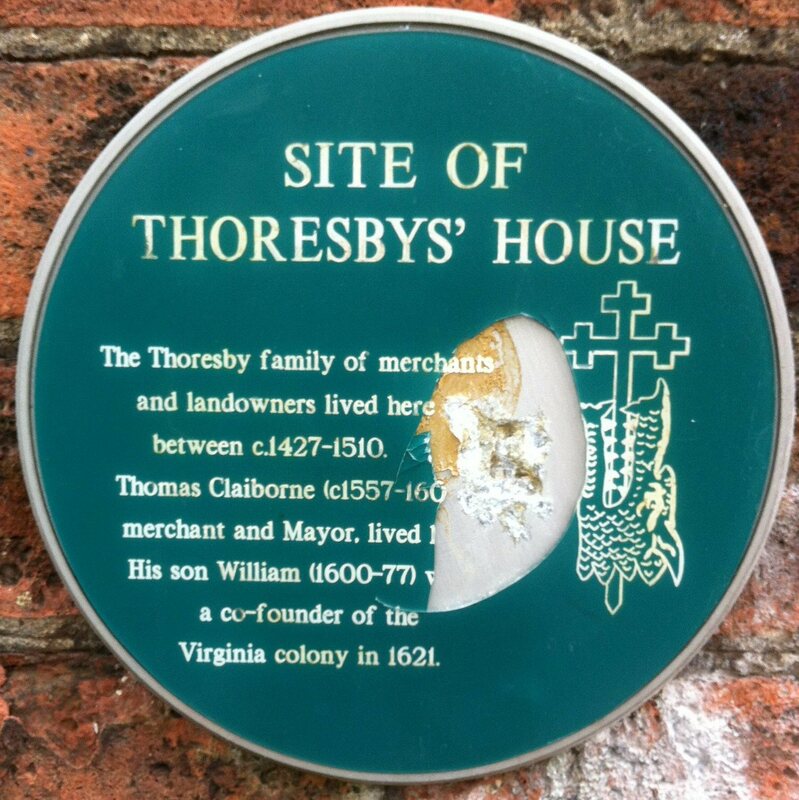 Plaque on wall of the Red Mount Chapel dating it to 1485. 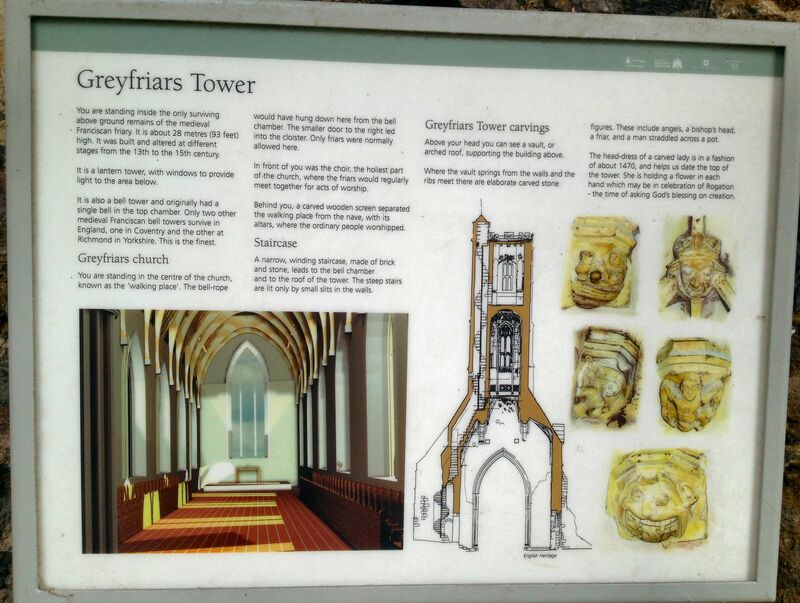 Greyfriars Tower - 13th to 15th century tower of Lynn's Fransican friary. 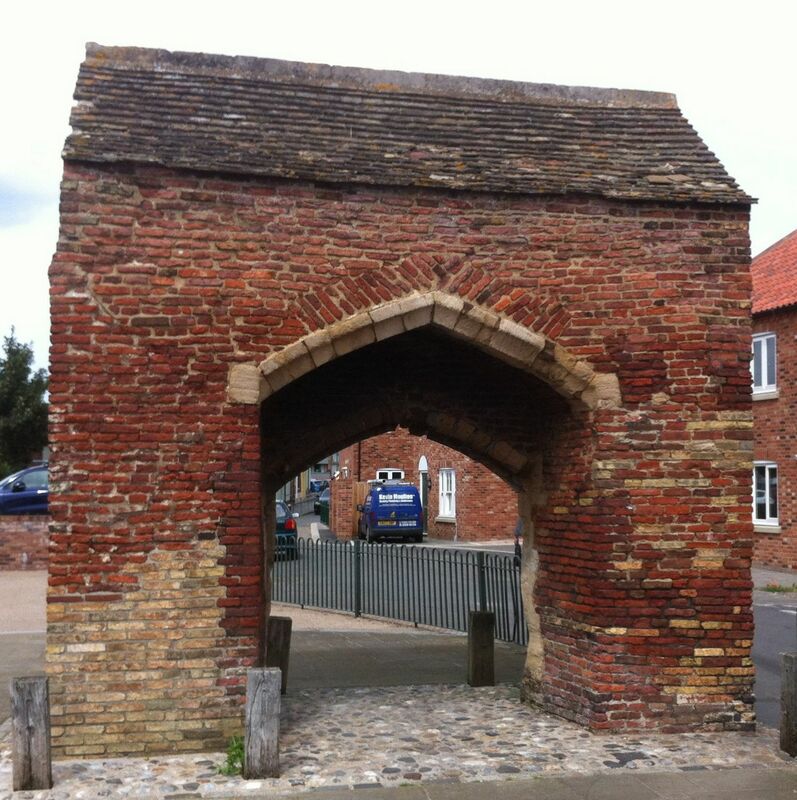 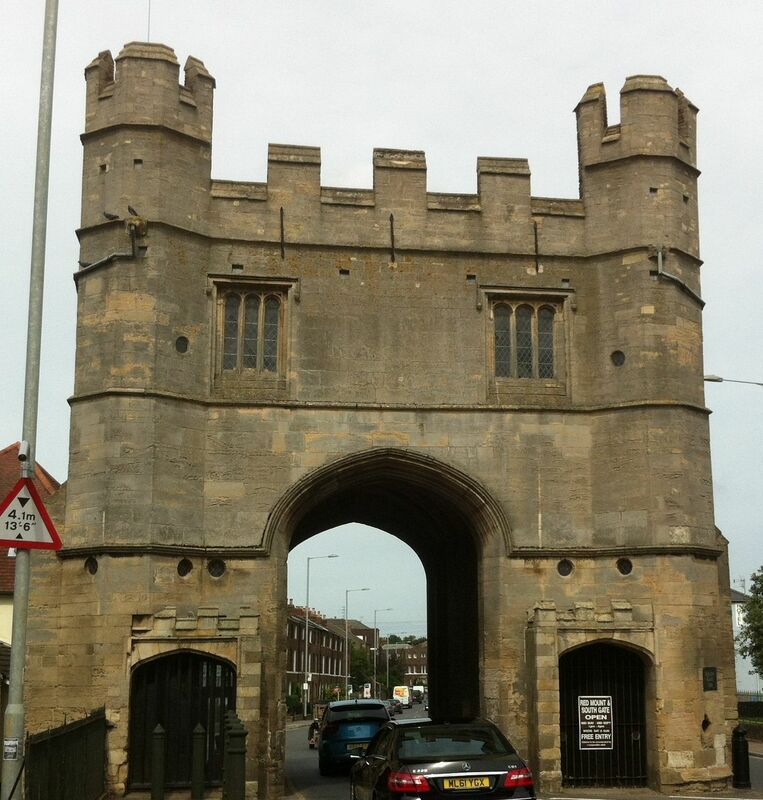 South Gate, built in the 15th century. 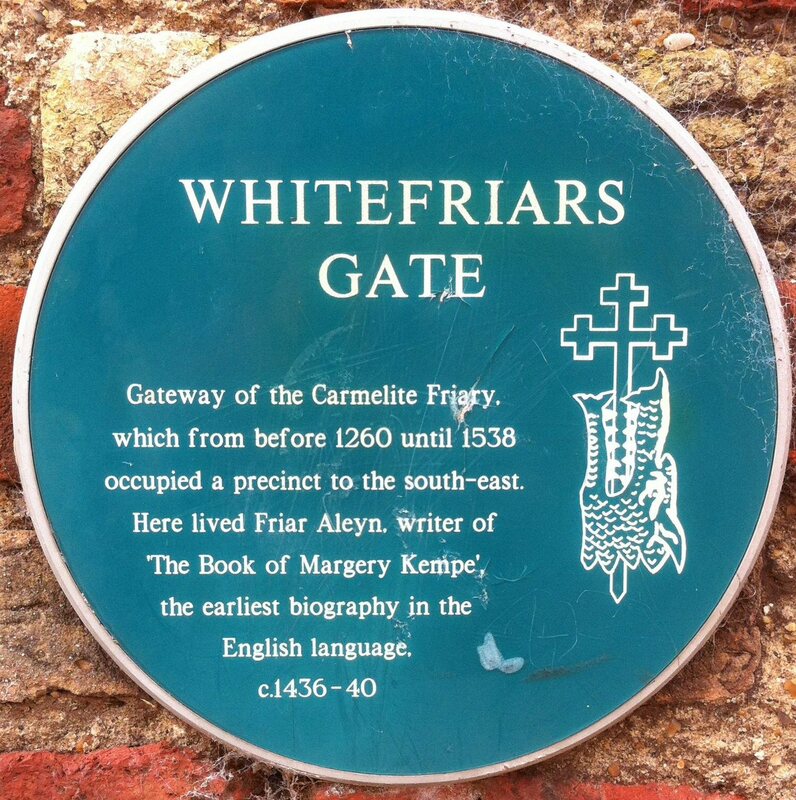 Whitefriars Gate, the Carmelite friary. 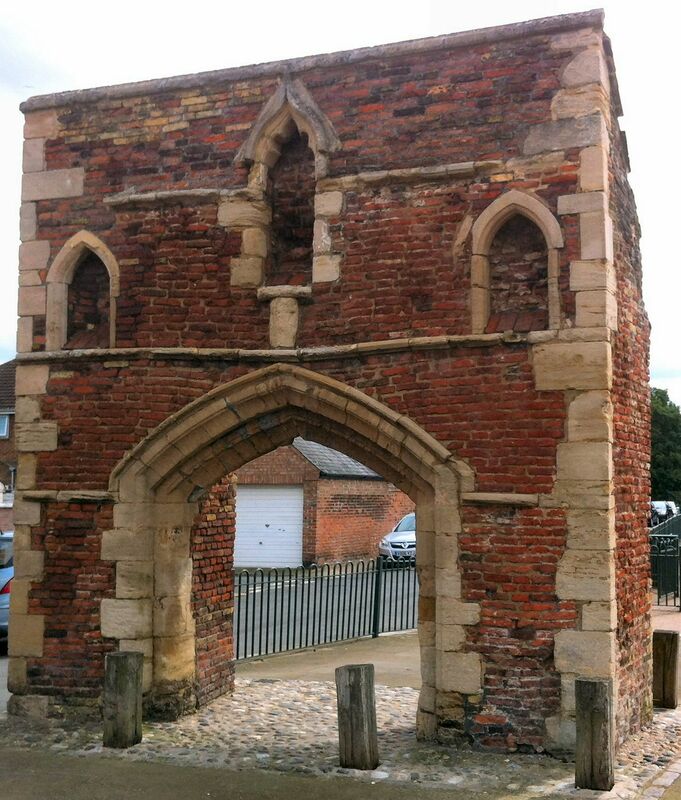 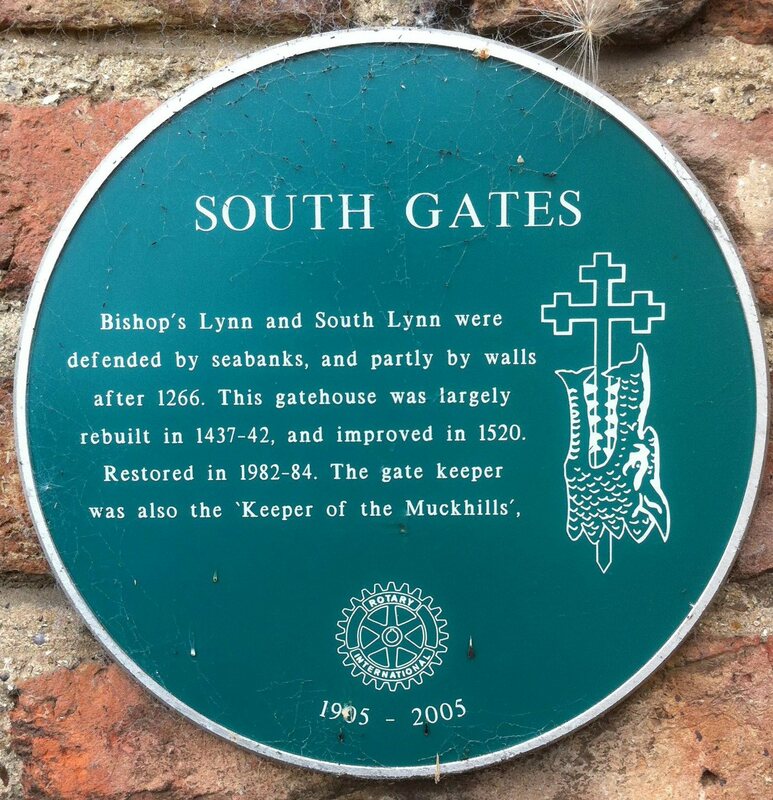 The other side of the Whitefriars Gate.